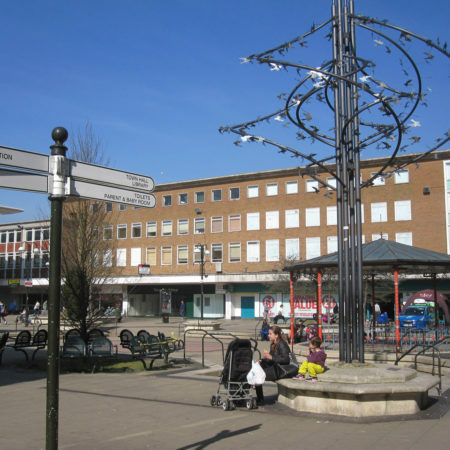 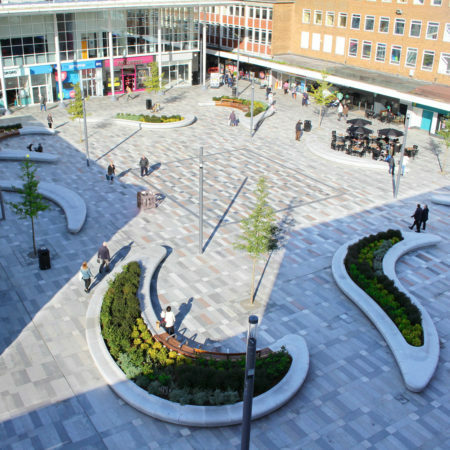 Queens Square, a public space located in the heart of Crawley Town Centre, was designed as the focus of Crawley New Town developed in the early 1950s. 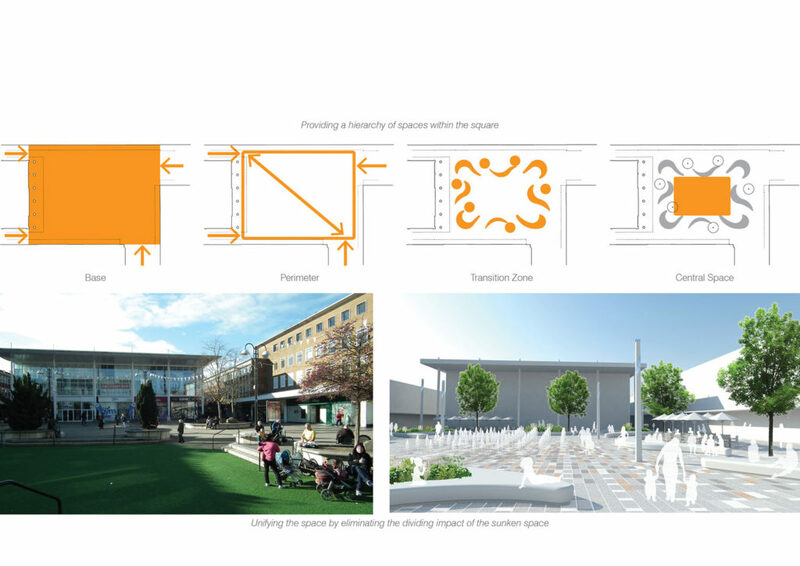 The square was an attractive shopping area and it has retained the strong geometric shape of the original masterplan. 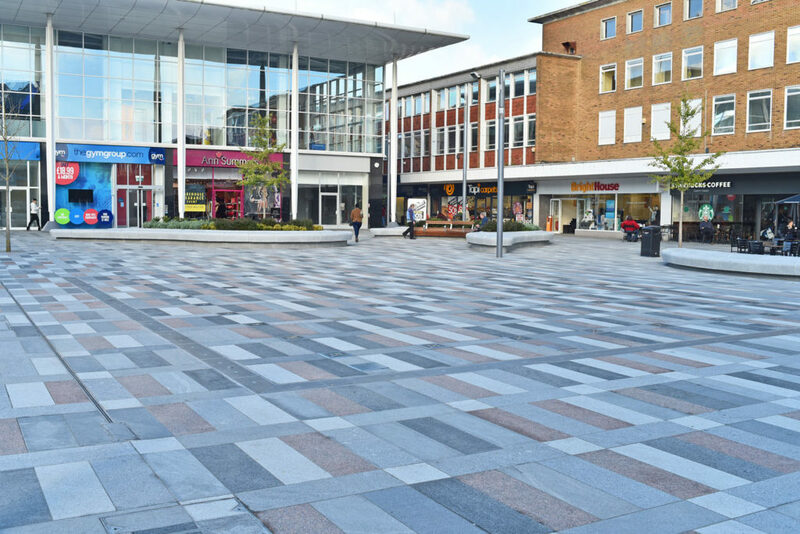 However in recent years Queens Square had been experiencing a decline in its popularity as a shopping destination. 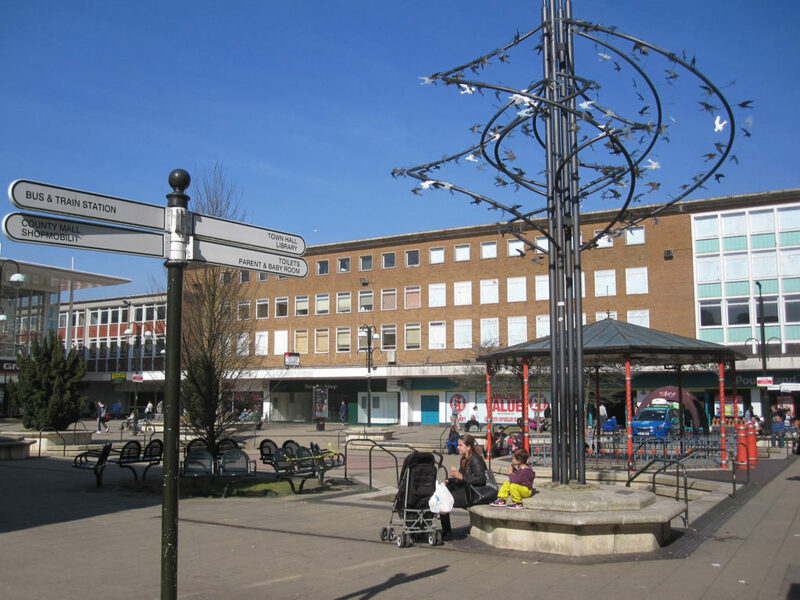 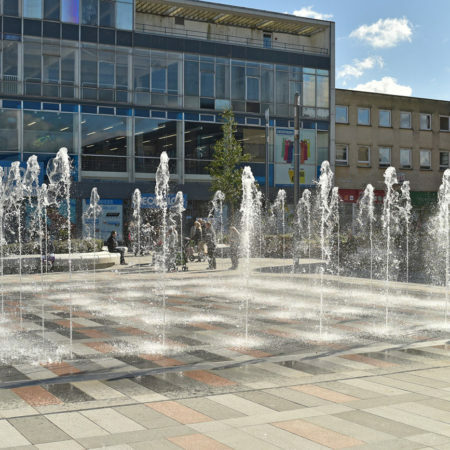 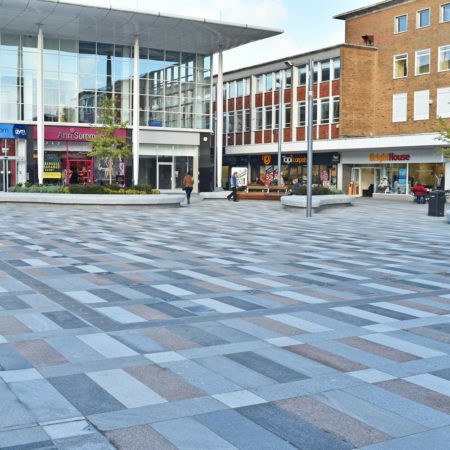 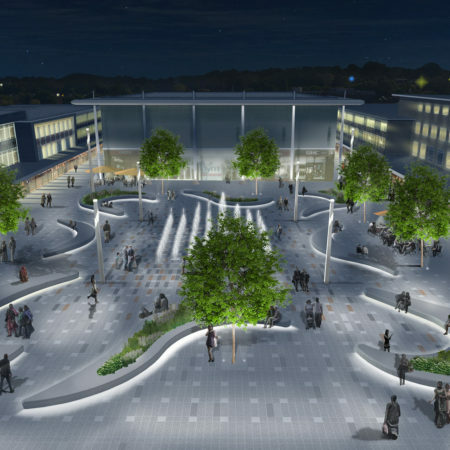 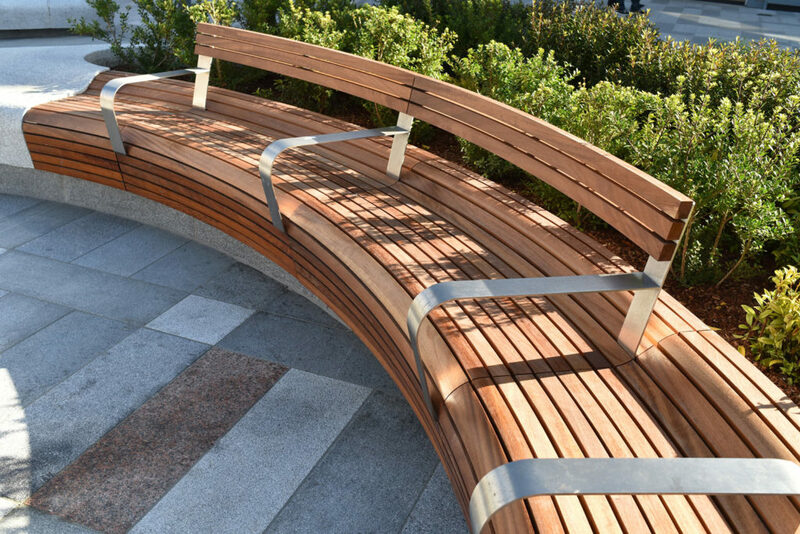 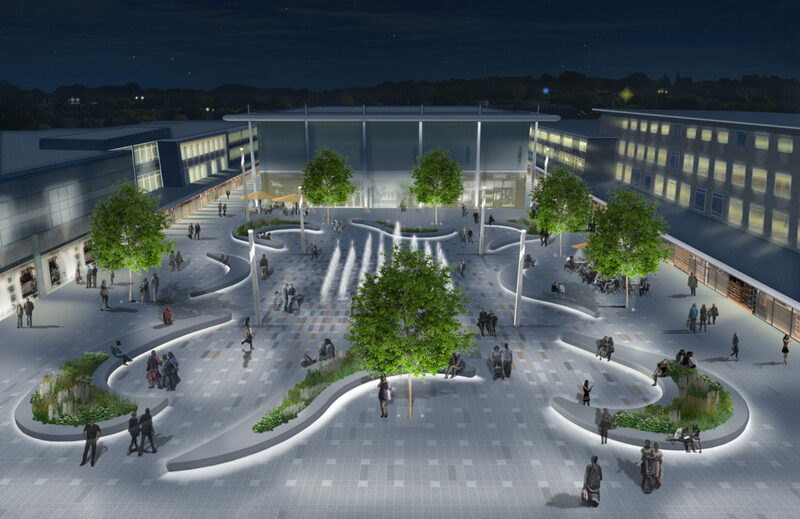 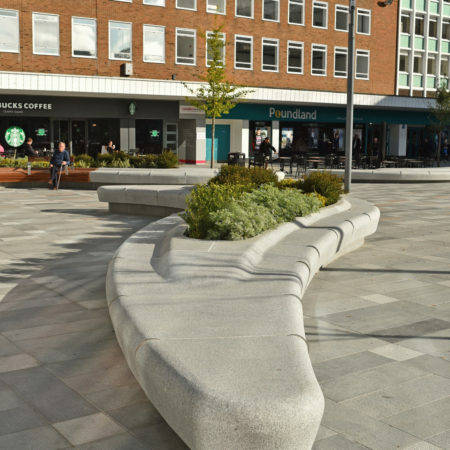 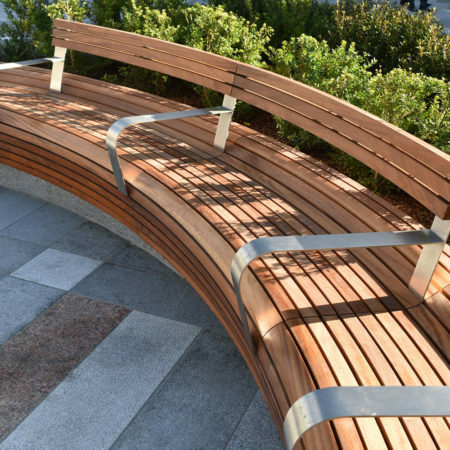 To reverse the decline West Sussex County and Crawley Borough Councils decided to seek a long term, high quality design solution both to regenerate the 3000m2 Queens Square and to create a step change in the townscape quality of the square. 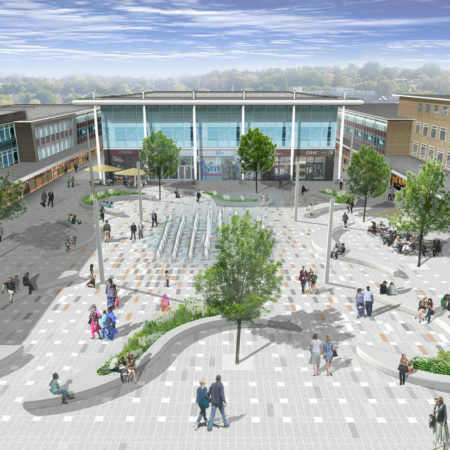 This was to encourage new investment in retail, leisure and other town centre uses, enhance the vitality and viability of the town centre, generate new employment and to use the square as a catalyst for wider regeneration and development. 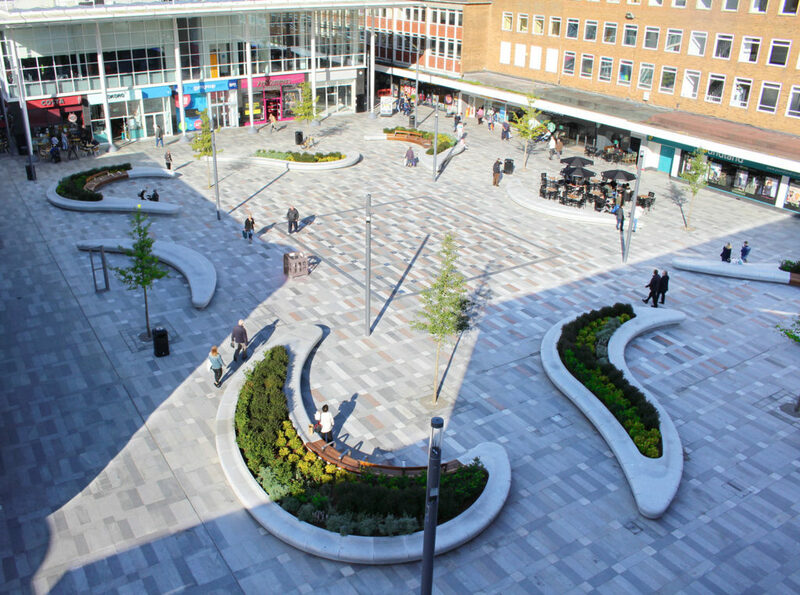 Burns + Nice were selected to re-design Queens Square in 2013. 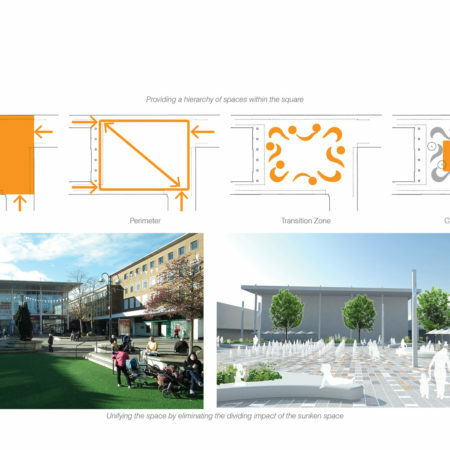 The proposed scheme aimed to reactivate Queens Square by providing a structure and hierarchy of spaces with a purpose and visual order. 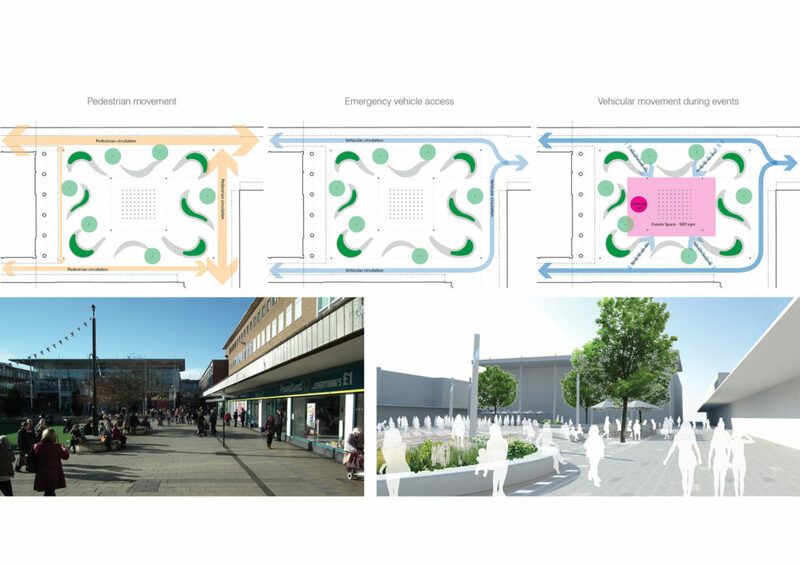 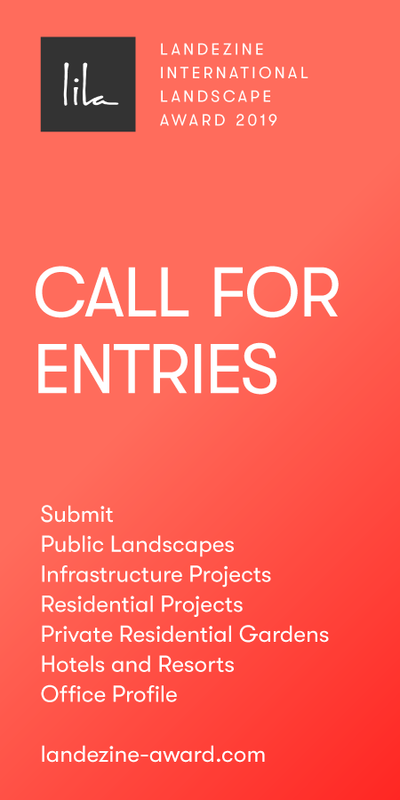 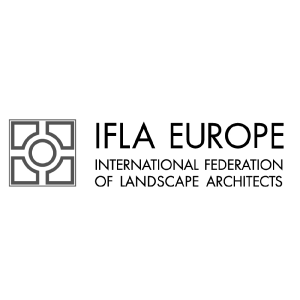 The scheme also included the infrastructure needed to accommodate large scale events without compromising its primary purpose as a green oasis and a place for the local community to relax and enjoy its vibrant atmosphere. 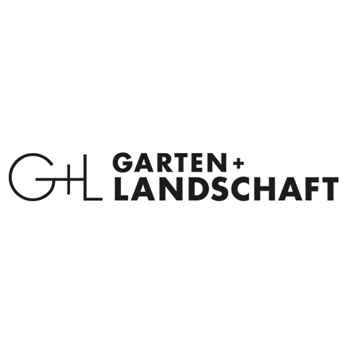 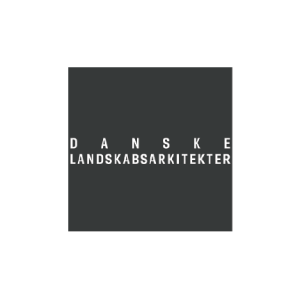 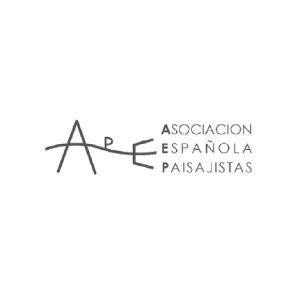 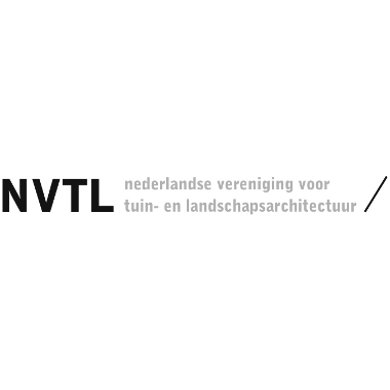 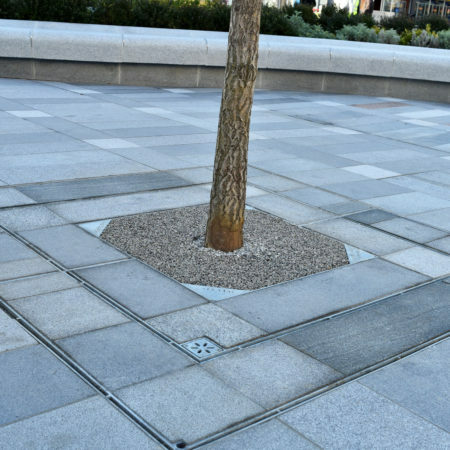 A hierarchy of paving materials was established for the central space and for the perimeter zone to provide legibility. 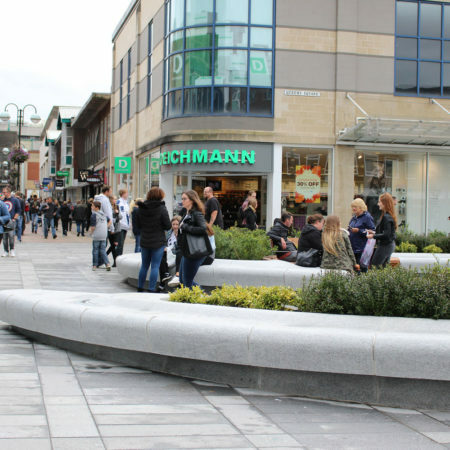 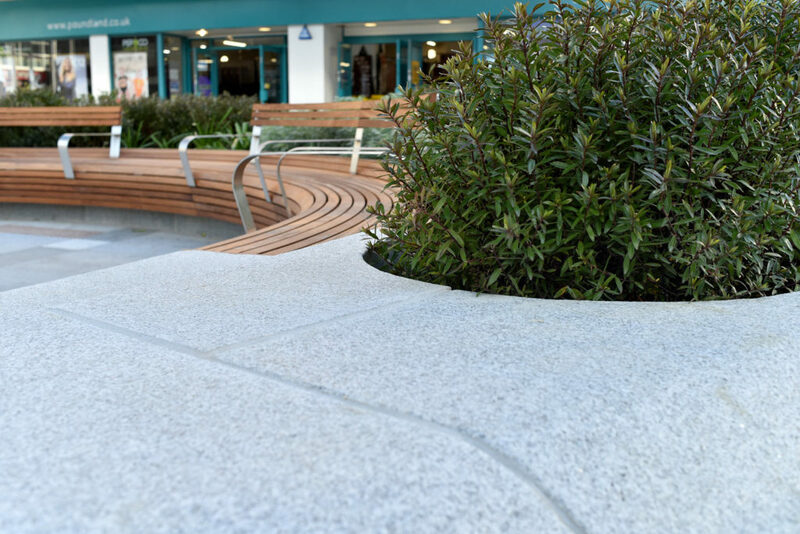 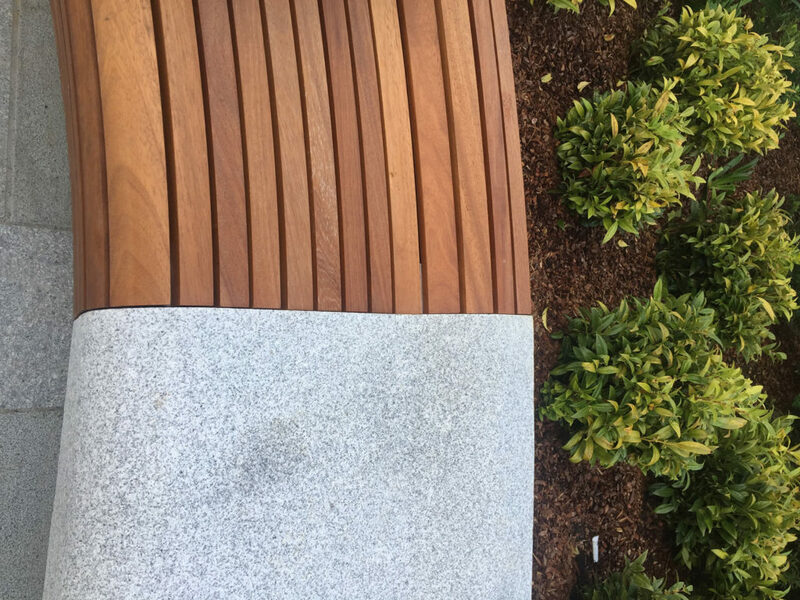 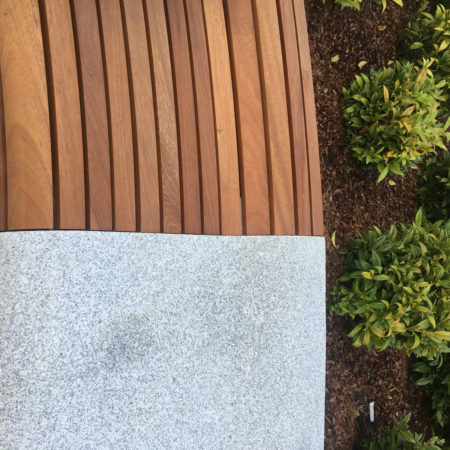 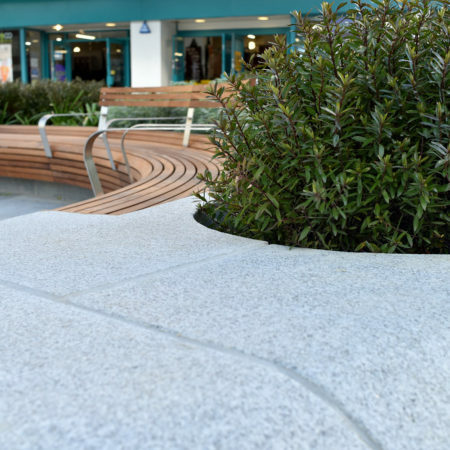 Multi coloured granite was selected as the surfacing material with contrasting curved white granite planters providing a dynamic 3D element to frame the square and form a series of sub spaces within the square. 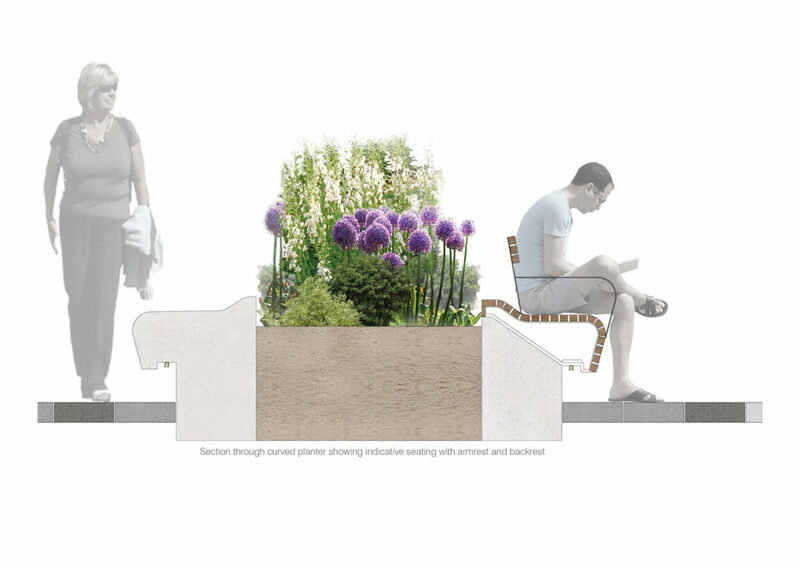 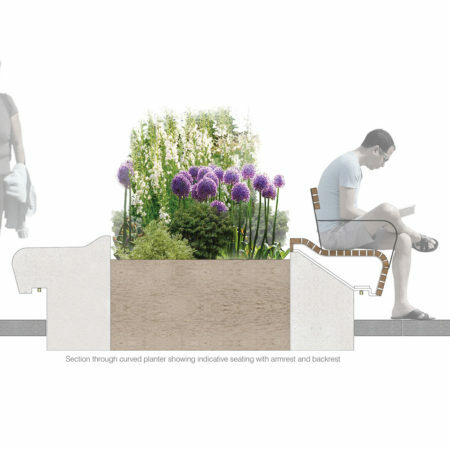 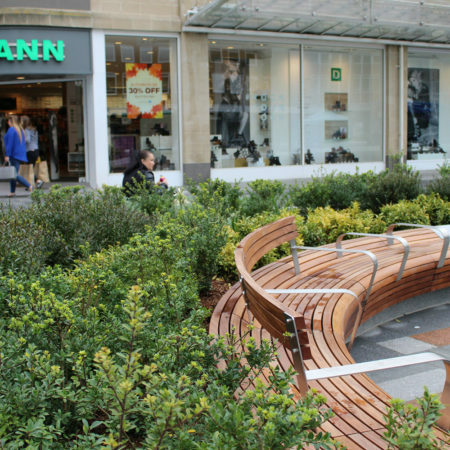 The planters include integrated seating with bespoke LED lighting mounted underneath the full length of the edge of the curved planters. 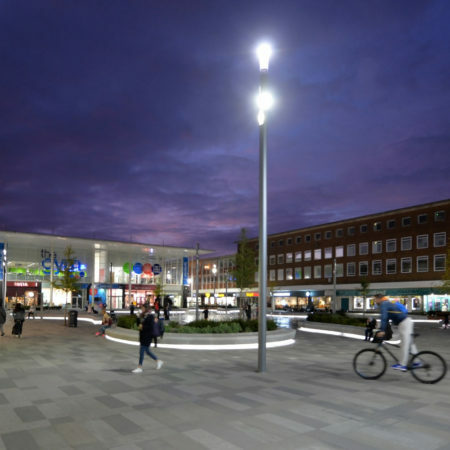 This decorative lighting has a warmer colour temperature contrasting the cooler colour temperature of the overall street lighting. 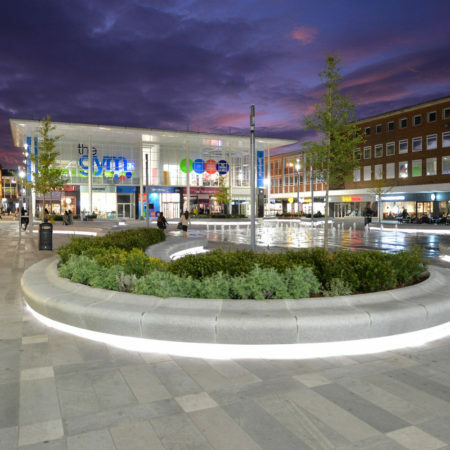 The LED lighting creates the effect of “lifting” the planter from it’s granite base and gives the planter a strong night-time presence. 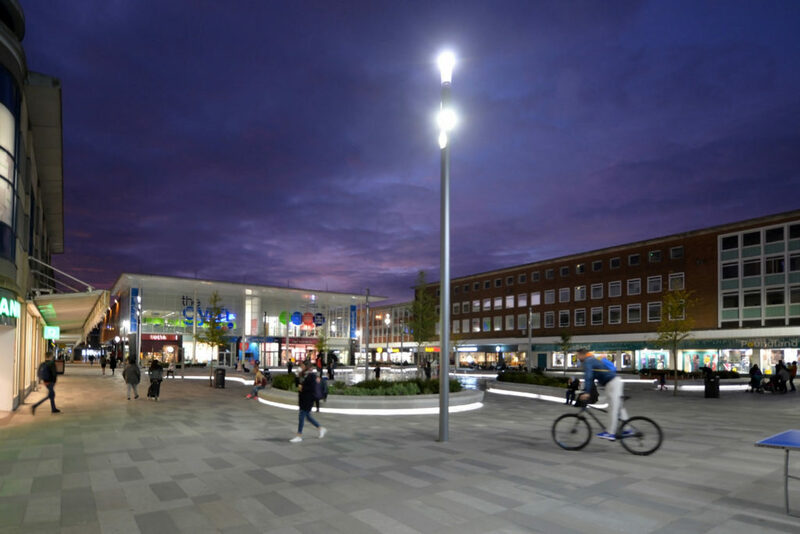 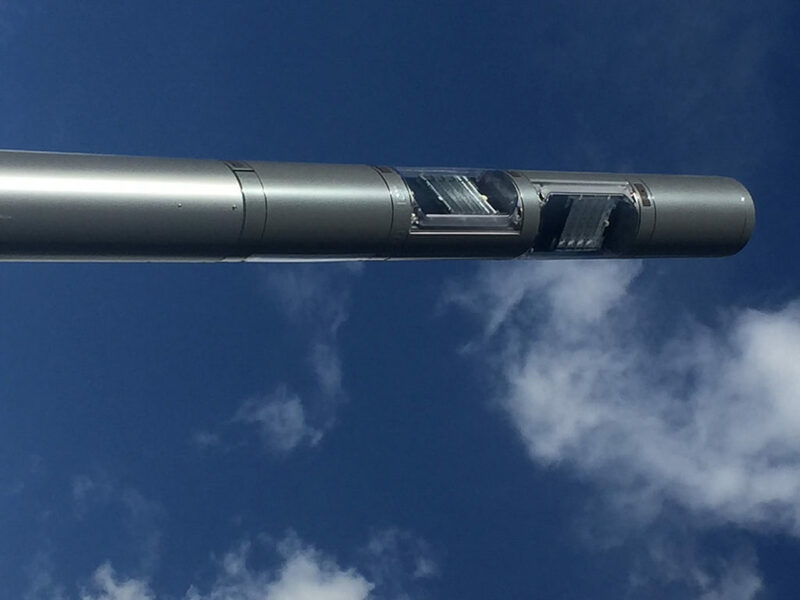 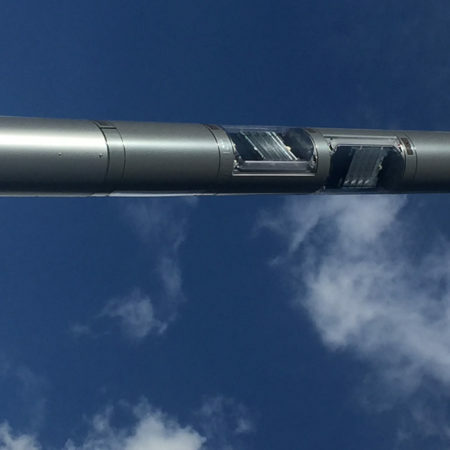 New lighting is intended to encourage evening uses within the Square and ensure a safe and comfortable environment, contributing to the new unique character of Queens Square. 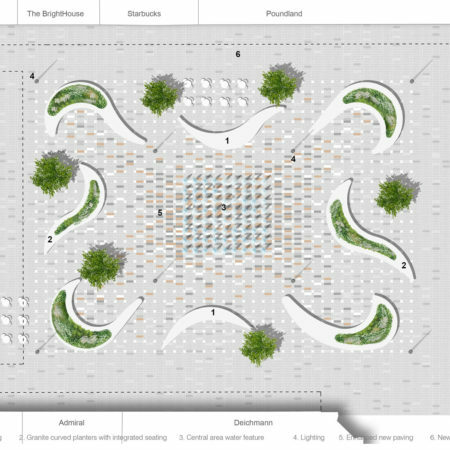 Two sets of four light columns with different heights have been located within the square; four 8m columns positioned on the edge of the centre space and four 6m columns within the central space. 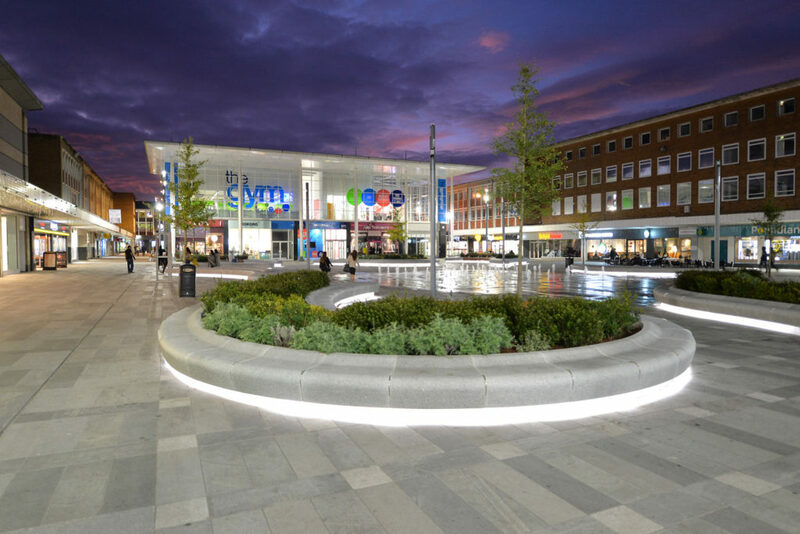 The LED lighting creates pools of light and each lighting column includes 24 independently adjustable LED spotlights making the overall light uniformity and the ‘pools of light’ effect infinitely adjustable. 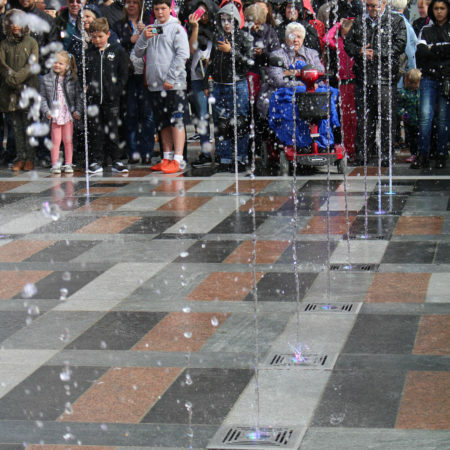 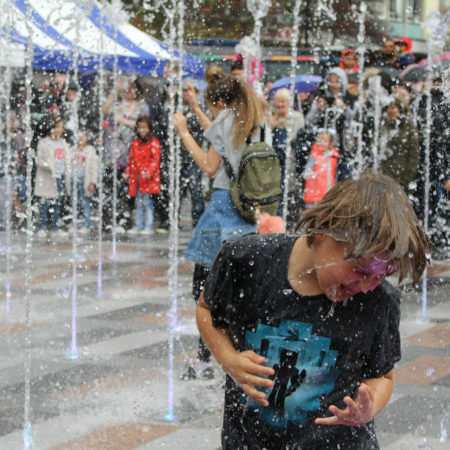 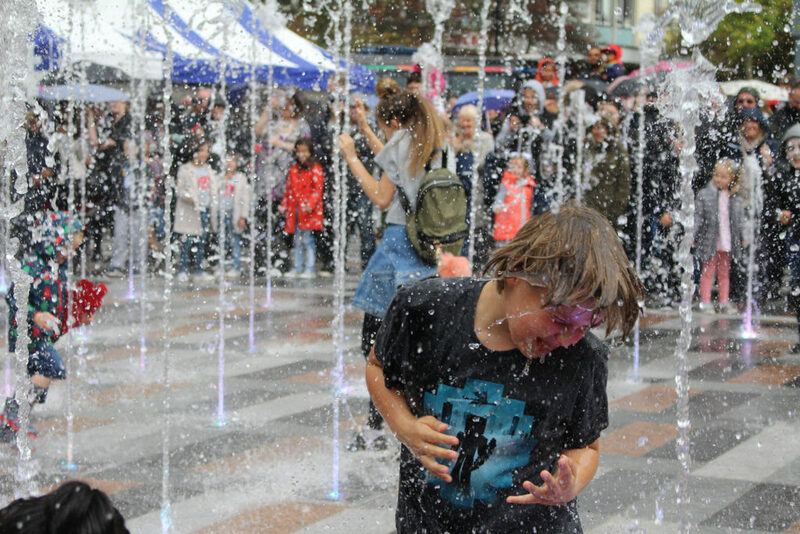 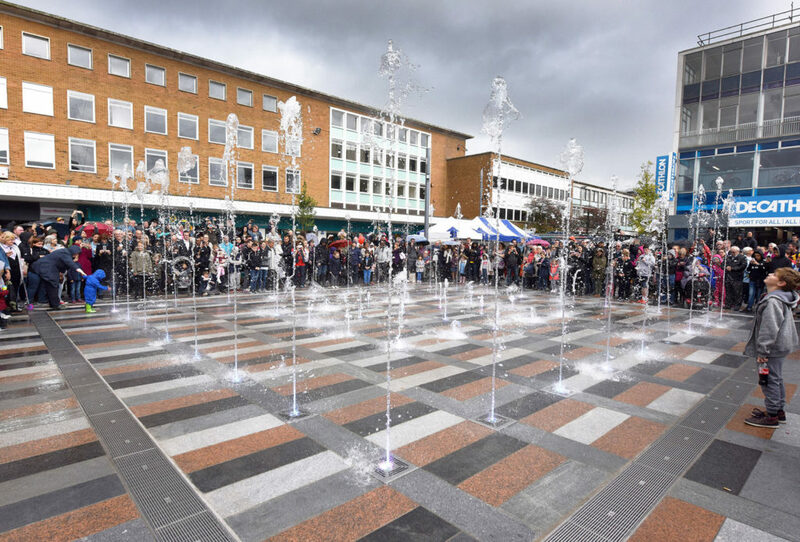 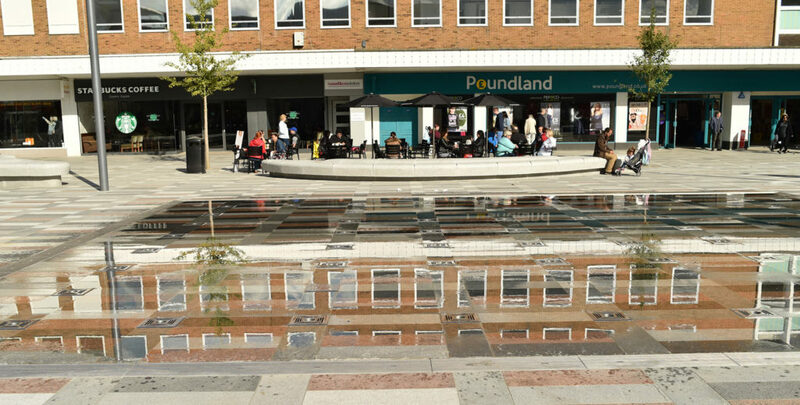 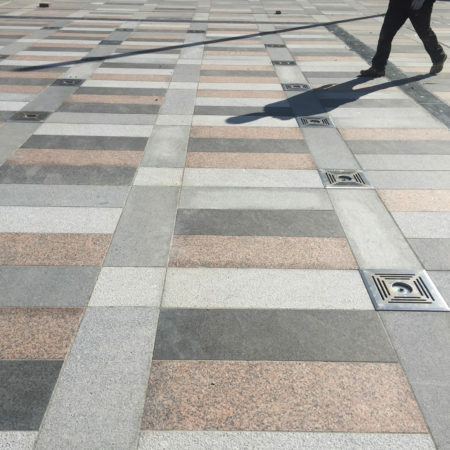 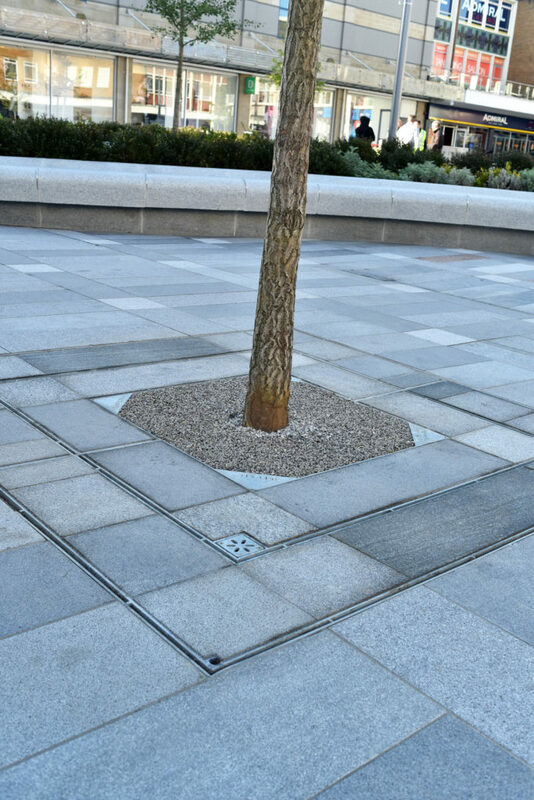 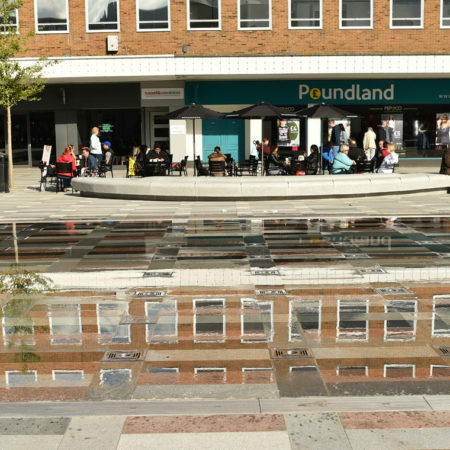 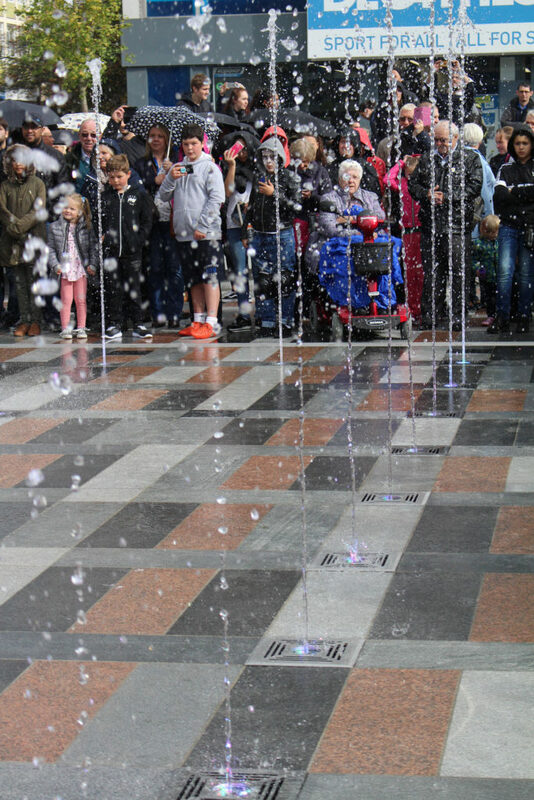 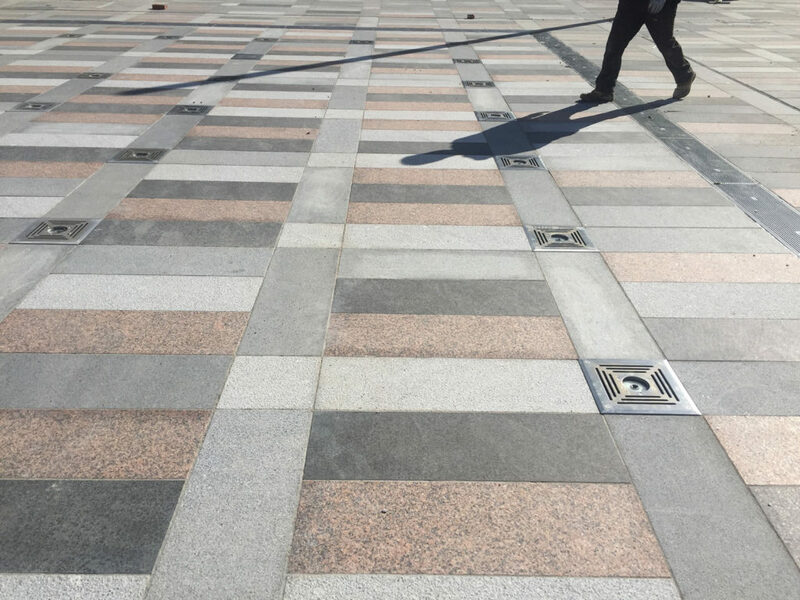 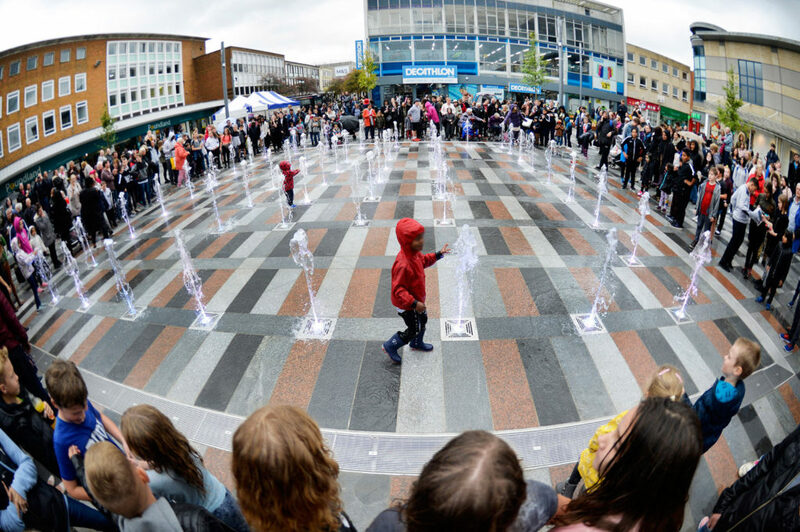 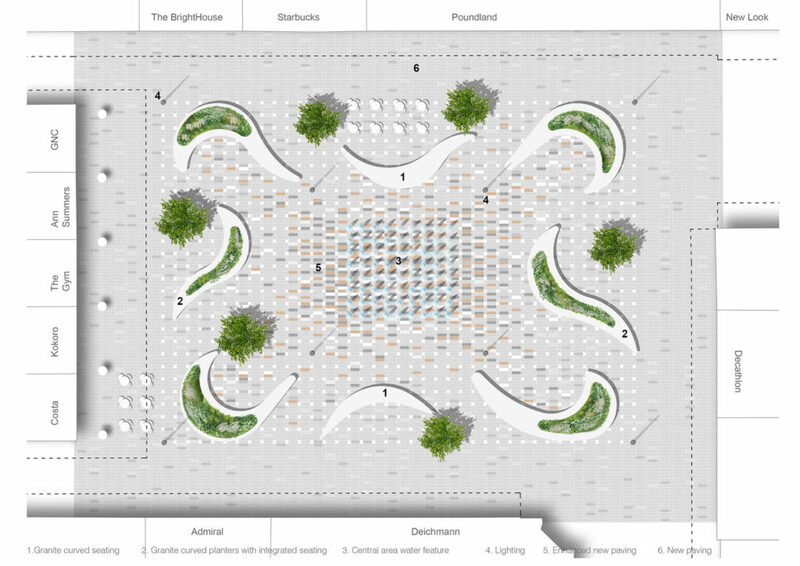 Water is also used to create a visual focal point with 50 water jets within the paving forming a dynamic feature in the centre of the square. 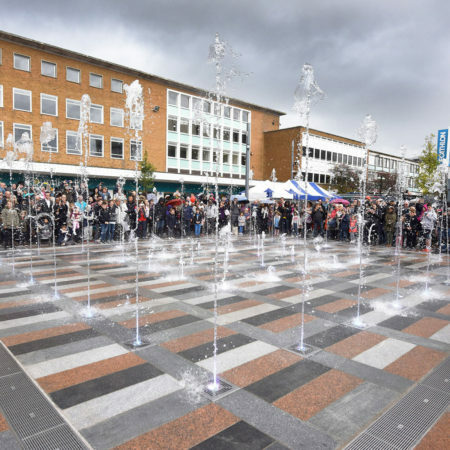 The water feature creates a distinct visual and audible atmosphere and provides a means of interaction for people who visit the square to relax and enjoy its attractions. 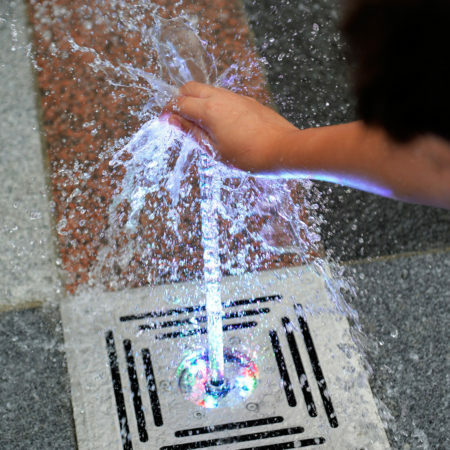 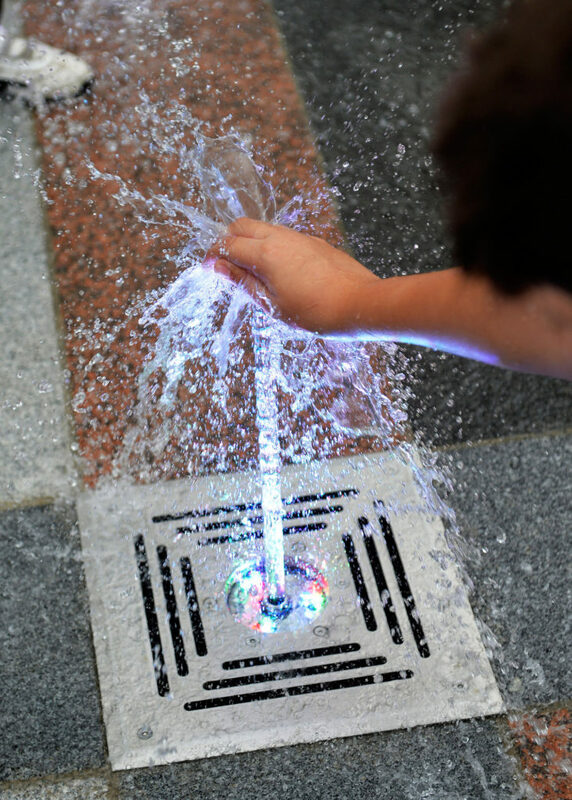 LED illumination to the water jets transforms the water feature at night so extending visitors experience of the Square. 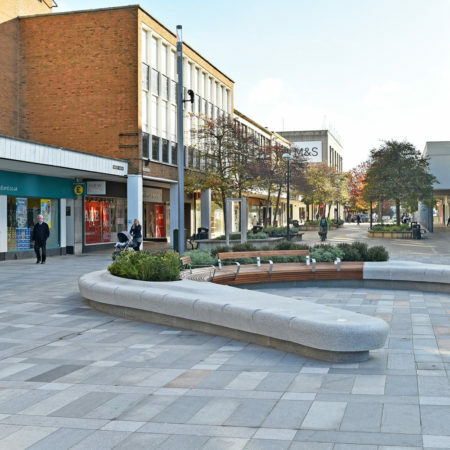 Since the re-development of Queens Square including its alleyways was first proposed, the project has created the confidence for major investment to take place in the town centre. 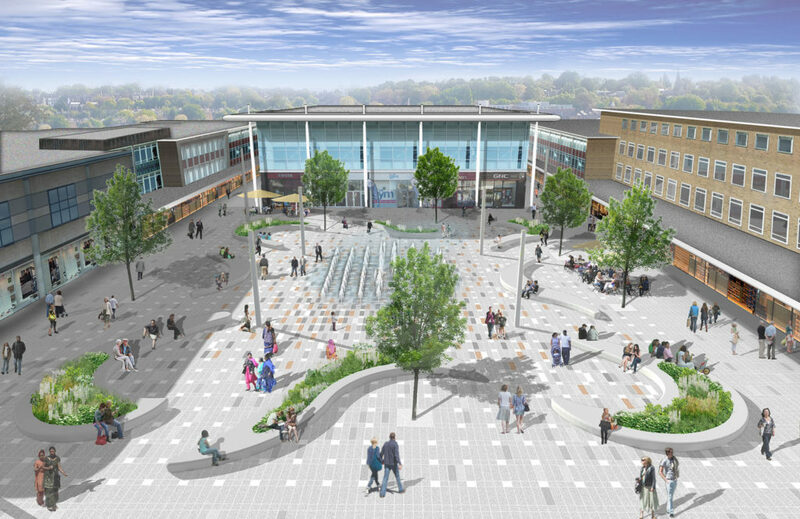 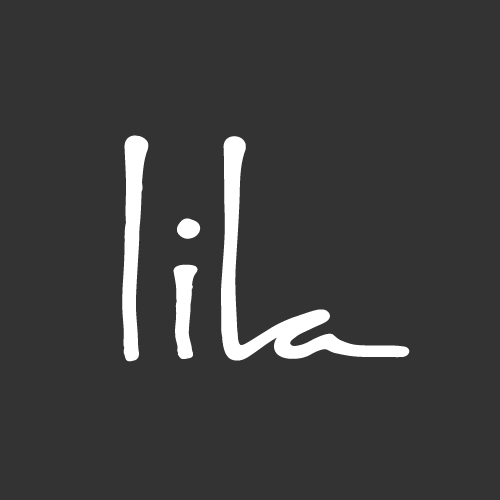 The existing retail and food offer has been enhanced by the addition of new high quality shops, restaurants and cafe. 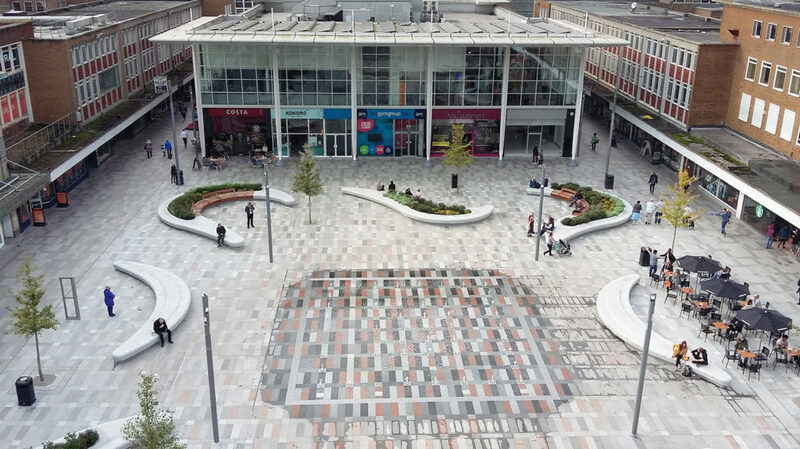 Resultant higher footfall, enhanced dwell time and increased alfresco dining areas have helped change the perception of the square to a destination, a place where people want to spend time and relax. 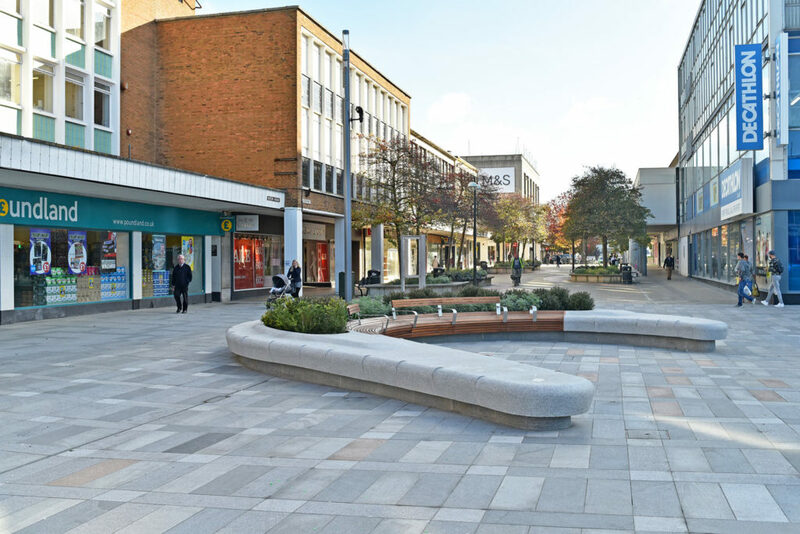 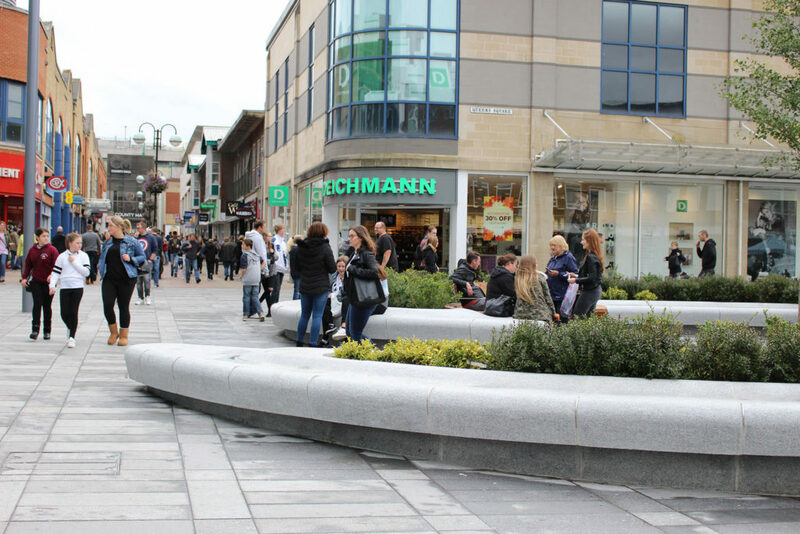 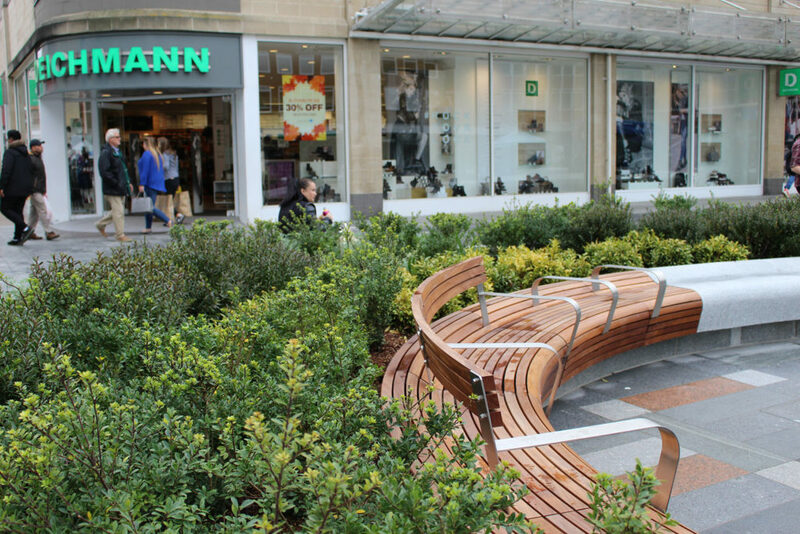 In 2017, Crawley Borough Council and West Sussex County Council announced further investment in the adjacent Queensway and The Pavement public realm building on the success of Queens Square. 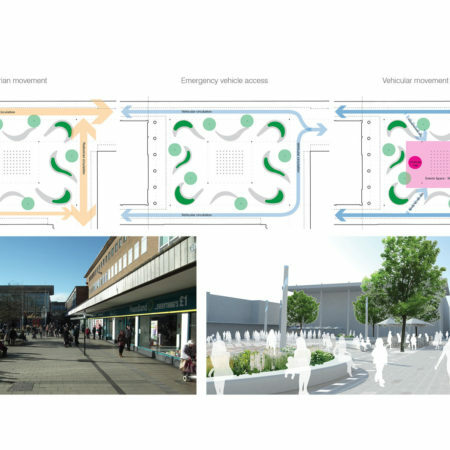 This second phase of town centre regeneration aims to establish Queensway as an extension to Queens Square and improve connectivity with Memorial Gardens. 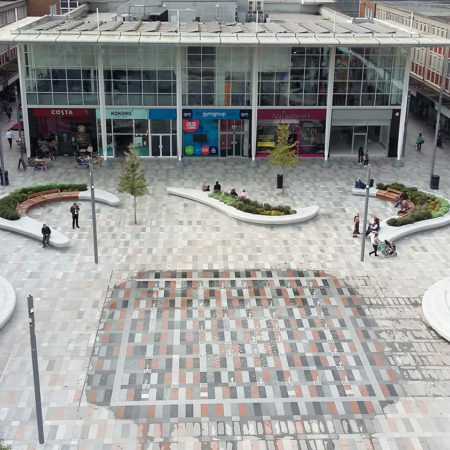 The scheme redefines Queens Square as the heart of the town centre, creating a high quality, inviting, distinctive and enjoyable public space encouraging more people to visit, stay and make use of the area. 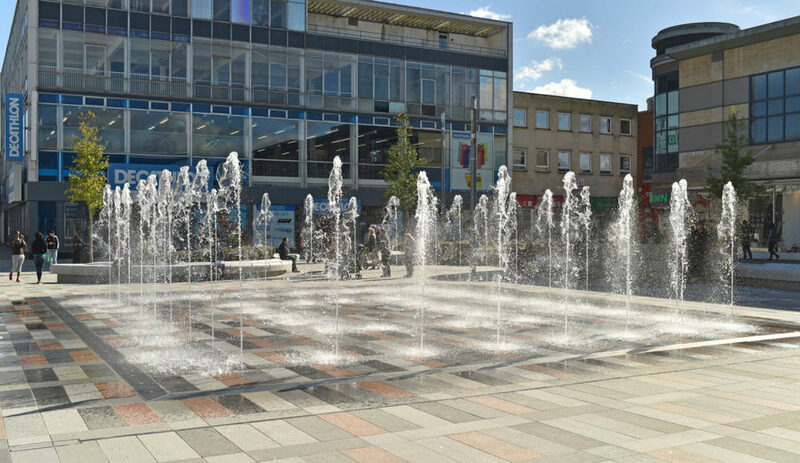 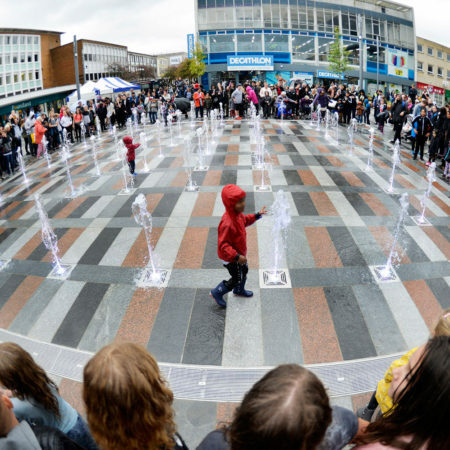 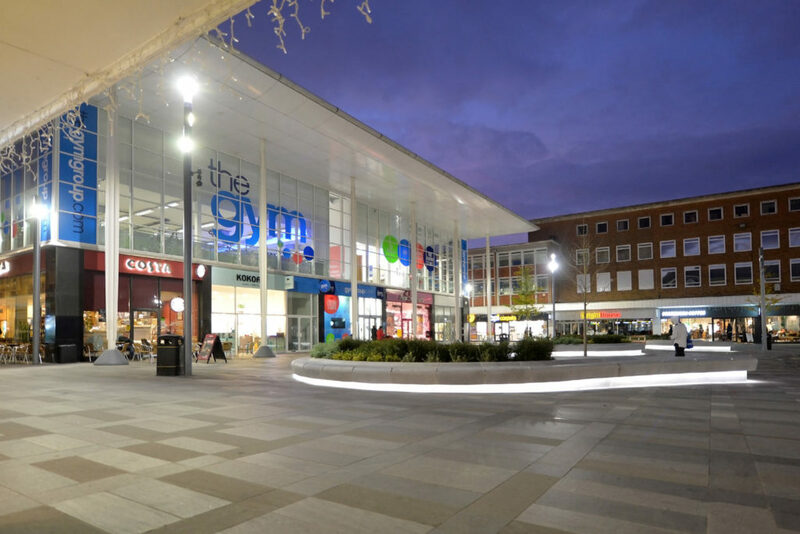 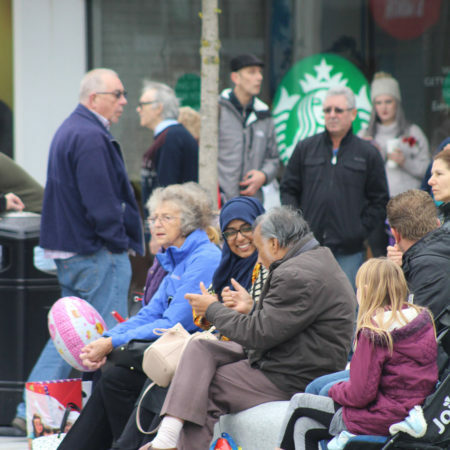 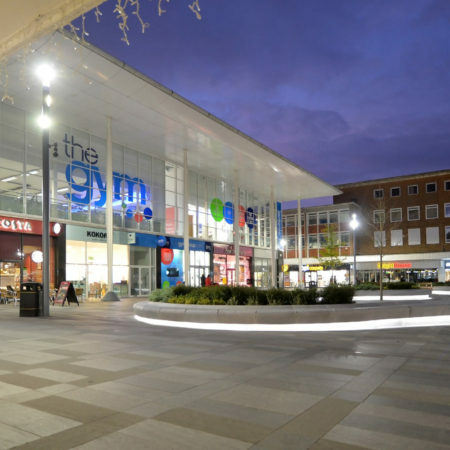 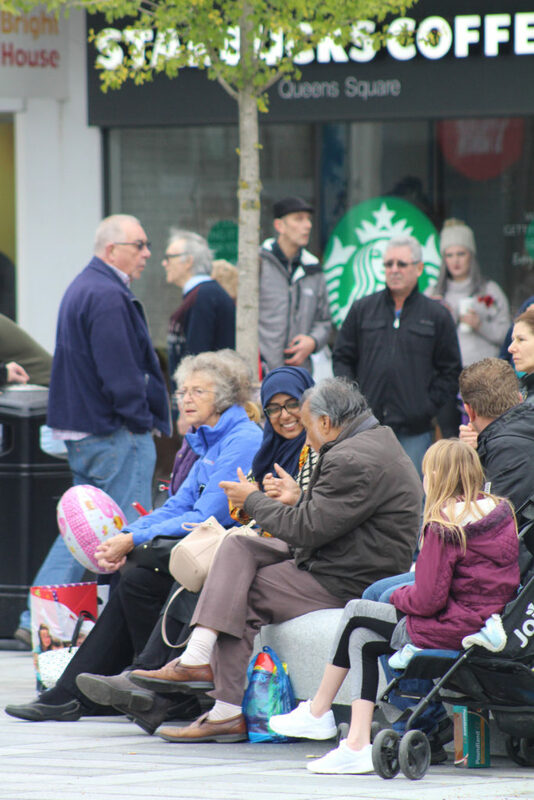 It has encouraged new investment in retail, leisure and other town centre uses, enhanced the vitality and viability of the town centre, generated employment and acted as a catalyst for wider regeneration and development within Crawley. 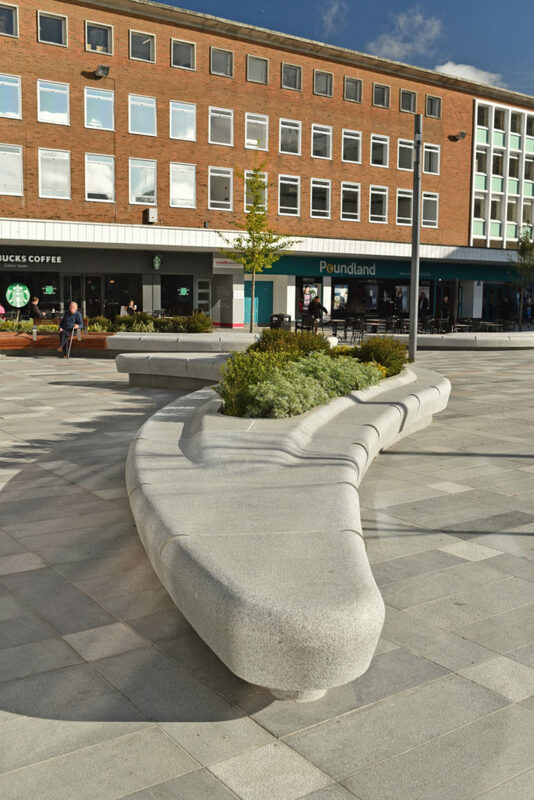 The project is a significant exemplar in demonstrating how investment in high quality public realm design can transform both the character and economic fortunes of a town centre.